Lemon zest for cooking. Before you squeeze your lemon, zest it first. You can store it in the freezer to use for cooking when you need. Perfect to brighten up a cream pasta sauce! Lemon Vinegar Cleaner. Cut off the peels and store them in the fridge until the end of the week. You’ll have enough to make a vinegar infusion. Pat them dry and make a lemon vinegar to use in your household cleaning recipes. Use this recipe for the how-to. Lemon Ice-cubes. Add lemon slices to your ice-cube tray to brighten up your drinks! Lemon zest butter. Make any steamed vegetable awesome by mixing in a little lemon zest, butter and herbs! Make Lemon Olive Oil. Pat dry the lemon rinds and add to olive oil. Allow to sit for 2 weeks to infuse the lemon flavour. Make Drawer Sachets. Dry out your lemon peels in a warm oven and then mix with spices like lavender to create a beautiful potpourri. Clean Stainless Steel. 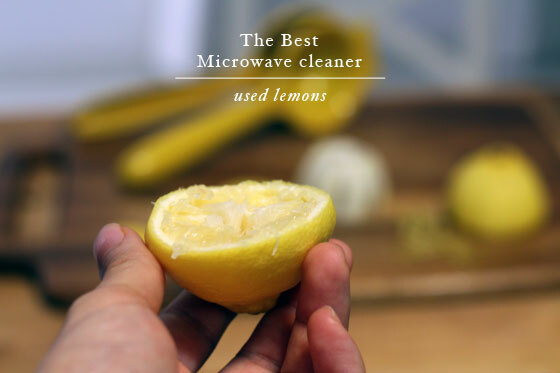 Use the rind of the lemon with a little salt to scrub your stainless steel clean. Perk up your Mood. Squeeze the lemon rinds and let the essential oils fall around you. Breathe in the uplifting scent – lemon essential oils are known to enhance your mood and reduce stress and anxiety. Sanitise your chopping board. Squeeze the lemon rinds and let the essential oils fall on the chopping board. 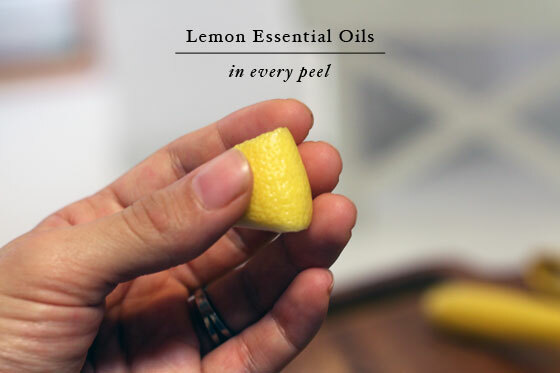 Lemon essential oils are incredibly antimicrobial and help keep your boards clean! Make a fruit and veggie spray. Infuse the vinegar with lemon rinds and use the solution to clean your fruit and veggies. Get the recipe here. Make a lemon vinaigrette. Add lemon zest, lemon juice, olive oil, salt and pepper and dress up your greens! Lemon Scrub. Add lemon zest, soft brown sugar and pour in coconut oil until the mixture feels like wet sand. Makes a great gift! Coffee Cup Stain Remover. Place lemon peel in the stained cup with boiling water. Let it sit, and then wipe away with a cloth. Microwave Cleaner. Place your squeezed lemon in a bowl with some water. Microwave for 2 minutes. The essential oils in the steam will help to break up any caked-on stains. Oven Cleaner. Sprinkle baking soda inside your oven and use the used lemon to give it a good scrub. Rinse clean with a vinegar cleaner. Lemon Salt and Pepper. Dry the lemon rinds in a warm oven. After they have dried, pulverize in a blender. Mix with salt and pepper to make a homemade seasoning. Remove stains on surfaces. Great for any surface, wood or marble, take the used half lemon, add salt and scrub on stains. Clothing Stain Removal. Soak delicates in a bath of lemons and baking soda for an hour before washing. Make Lemon Extract. Just like a vanilla extract – it’s super easy to make. Zest you lemons and pour over vodka. Allow to sit for 8 weeks. As you collect more lemon zest you can add it to the mixture to strengthen your extract. Use lemon extract in cooking, baking and to make cocktails! Make a refreshing toner. Add boiling water over the lemon peels with a mint tea bag. Store in a spray bottle and in the refrigerator for a cooling and refreshing mist to perk up your skin (and mood!). Lasts for up to 5 days in the fridge. Note: You don’t want lemon oil on your skin out in the sun! Wait a few hours or use this is the evening or when you’re not planning on going out.